If you’re like many automobile owners, you most likely rely on your vehicle every day, so it’s important to keep it in prime condition. 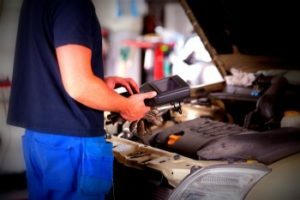 Many of the breakdowns and system failures that can occur are exceedingly expensive, but bringing your vehicle to an auto service shop regularly may protect your wallet. One of the most costly repairs for any automobile involves the camshaft. Over time, the parts can wear down. This typically occurs due to oil buildup on the valves. The process of replacing a camshaft is extensive and can cost anywhere from $1,500 to $3,000. The best way to avoid any issues is to change the oil in your car on a regular basis. Transmission neglect can also destroy your budget, and you may end up paying approximately $3,700 to replace one. Safeguard this essential component by adhering to the vehicle’s filter and fluid replacement schedule. You may be able to bring your car to an auto repair shop occasionally for low-cost upkeep as well. Another part that is pricey to fix is the cylinder head. When there is an issue with the spark plugs, misfires can cause the engine to overheat, which ultimately heats the cylinder to hazardous levels. If you ignore the problem, your cylinder head will break. Replacement of this vital part can cost anywhere from $3,000 to $3,500. If you own a hybrid car, your main concern is the hybrid inverter assembly. When this fails, replacement costs will range from $4,000 to $7,500. Although failure of the inverter isn’t common, it’s not a part you can find just anywhere. In order to avoid the high-cost replacement as much as possible, have your vehicle regularly inspected. Cylinder damage can also deliver a major financial blow. Insufficient lubrication to the cylinder walls can cause massive failures, and replacement can be as much as $8,000. Like many malfunctions, proper maintenance can prevent this. The best way to avoid expensive repairs is to form a relationship with an auto mechanic you can trust. Lament’s Auto Service & Repair, Inc., in Wayne, PA has been operating at the same location since 1973, and servicing some of the same customers since then as well. That’s because people trust their work and they don’t try to sell you on repairs you don’t need. Lament’s works on every car make and model, truck or SUV. Contact Lament’s today.